Star bows at www.4giftpack.com are the classic finishing touch for any gift package. These cheap star bows come in a variety of colors and finishes - perfect for any occasion! 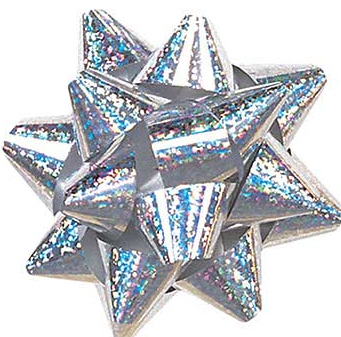 These star bows are the classic finishing touch for any gift package. zthese star bows come in a satin finish with a metallic gold or silver stripe, packed in an assortment of vibrant colors - perfect for any occasion and any ends! sizes: 1 1/2", 2 1/4", 3 1/2", and 4 3/8" diameter. These star bows are the classic finishing touch for any gift package. Star Bows come in a glittery holographic finish, packed in an assortment of gold and silver - perfect for Christmas gift wrapping! 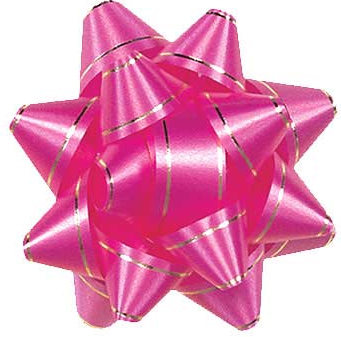 These synthetic paper star bows are the classic finishing touch for any gift or package. They come in a metallic finish, in a wide variety of colors --gold,silver,green,red,royal,blue,pink - also available in assorted colors! Perfect for any occasion. 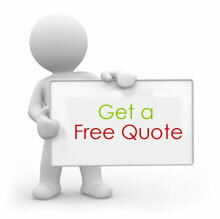 sizes: 1 3/8", 2 1/4", 3 1/4", and 4 1/8" diameter. As gift packaging products supplier,4GiftPack offer wide range of pull bows,star bows,butterfly pull bow coming in many colors and sizes to fir any occasion at wholesale cheap price.Contact us now to get free quotation.